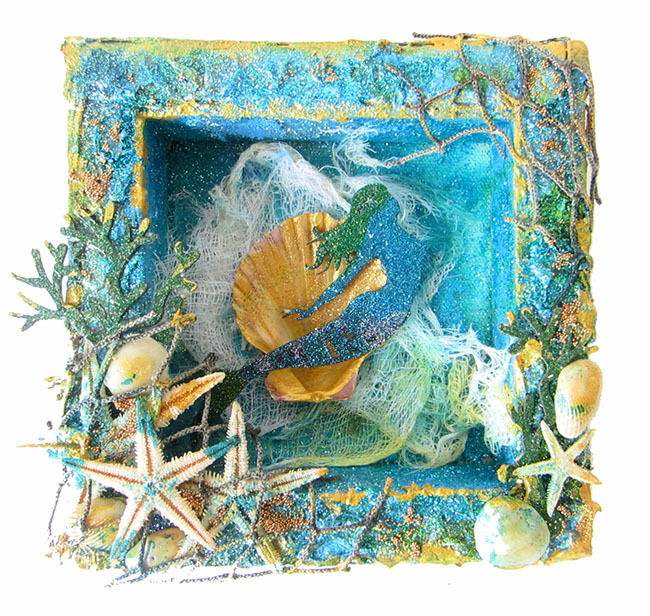 I’m on the Blue Fern Studios blog with two altered projects this month. 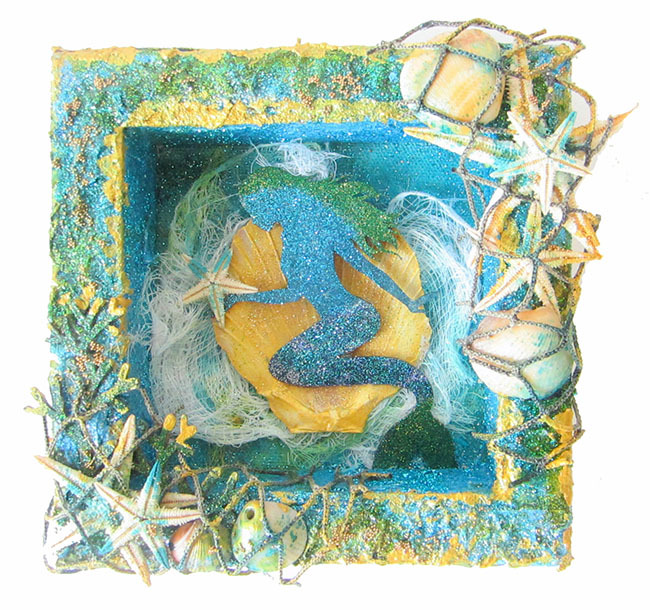 For my first project I created a pair of mermaid shadow boxes by altering two 6×6 canvases. I have a step by step video tutorial below to show you how I created them. I used two 6×6 canvases and reversed them to create the shadow box effect. I love creating these type of projects as they are perfect for displaying on a mantlepiece. 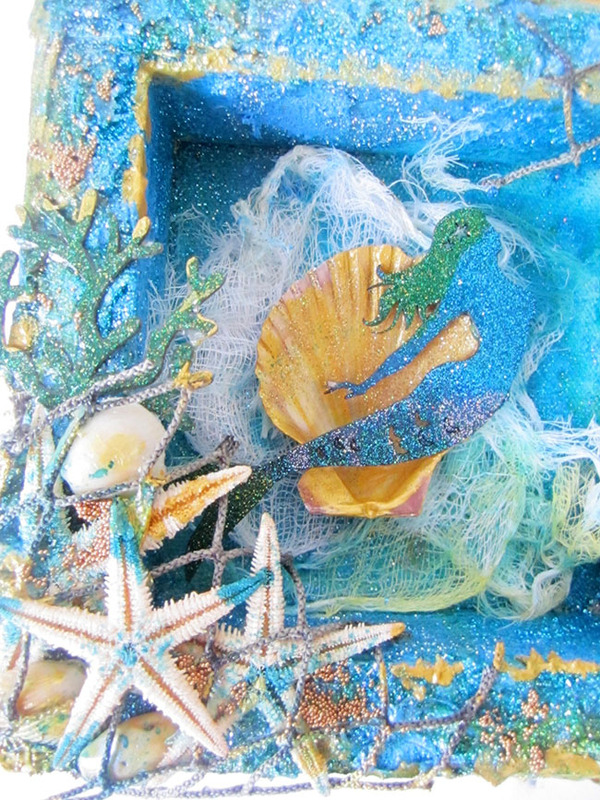 I used the Seaside Cottage collection and various embossing powders and glitters to embellish these canvases. 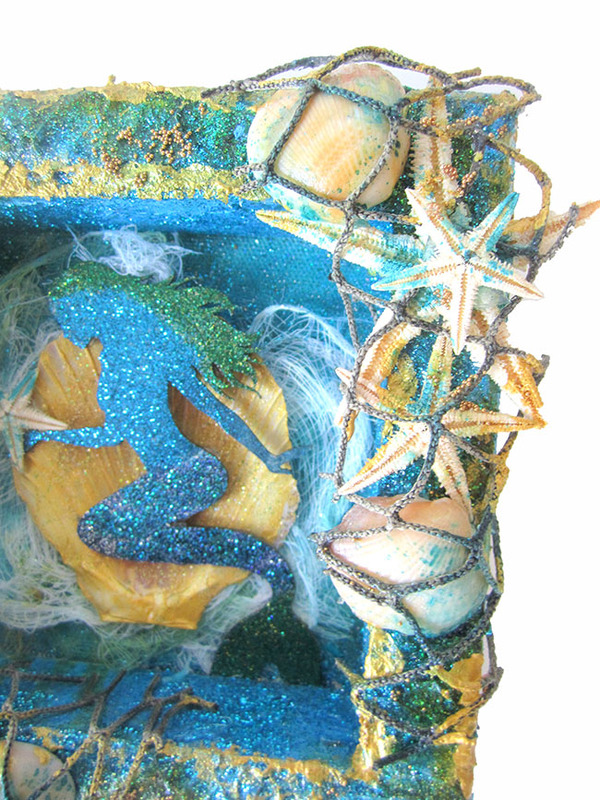 I used real shells and starfish as embellishments and even added some netting to make it look as if it is under the sea.